The first 10 days have been completed and the Great Britain Basketball squad are looking in good shape on our way to France. For those of you that don’t know, I took on the role of physiotherapist for the GB Basketball Women’s squad a few months ago. Last year the ladies did very well and qualified for the prestigious EuroBasket 2015 tournament in Hungary and that’s where I come in, to help them stay fit and healthy throughout the campaign leading up to and through the tournament. I am one of various members of staff that support the group of 16 athletes. I work very closely with the Strength and Conditioning (S&C) coach and our roles are to get the players into the best shape we can over a limited time frame. 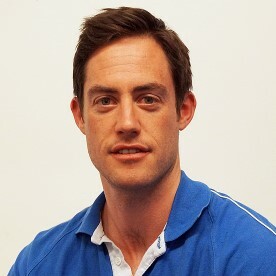 Michael, the S&C coach has worked at a very high level for a number of years with the Australian Swimming squad at the London 2012 Olympics, an inspiring person to work with. The life of a Physio in camp is one of long hours, large amounts of caffeine and being constantly ‘available’, the first couple of days being busiest! In the first full day of camp this year, Michael and I devised a number of tests for the players (known as Screening). The results of Screening give you a basic introduction to the current physical strengths of each player, and an indication of areas that require improvement. In our Screening session, we had a number of facets. Flexibility Screening: gives us an idea of the range of movement of each player’s major joints and allows me to compare one side of the body to the other. This provides a baseline to re-achieve after any injury that may occur. Functional Tests: Were incorporated within a movement screen and were followed with physical markers such as speed over 20m, an agility test and a jump score. These scores are collated and then the next couple of days were spent creating a profile of each player so we know where improvements need to be made. calculating various factors including wattage output. Using the bikes we have been able to add to the profile of each player. The data is used to tailor each individual’s cardio workout, thus increased cardiovascular fitness without increasing the loading through the legs. Each athlete has a personalised goal to reach each time they get on a bike, making for more individual specific fitness.